This is my monthly journal quilt for April, 4/12 2009, 12″ x 12″. The way I figure it, April is almost over for me due to lots of things going on over the next 2 weeks, so I figured I better get to it! This piece is created in the same way my small lines series is constructed. For this piece, I began with a background piece of fabric that I painted with blue/aqua paint with a handmade stamp. 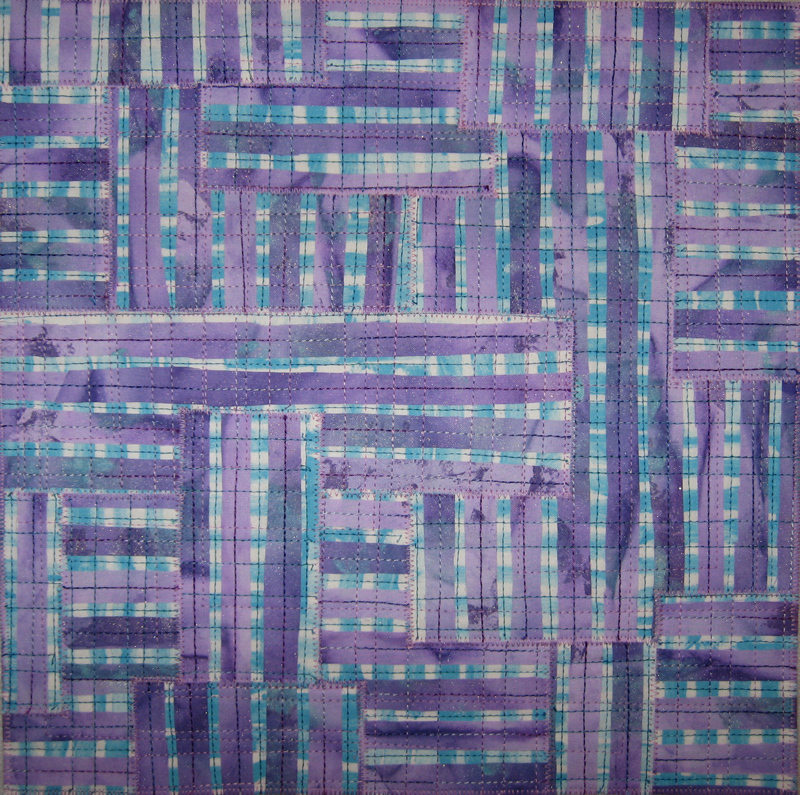 I then took a piece of purple fabric that I painted, cut it into strips and fused it to the background. I then sandwiched it with batting and backing and quilted it. Then, I cut it up into lots of pieces and reassembled them with a zig zag stitch. It’s a fun stripey puzzle to re-stitch together. I machine quilted over it some more and then finished it with a zig zag stitch around the edges. This piece is for sale in my etsy shop. This entry was posted on Sunday, April 12th, 2009 at 10:16 pm	and is filed under Art for Sale, Journal Quilts 2009, Surface Design. You can follow any responses to this entry through the RSS 2.0 feed. You can leave a response, or trackback from your own site.